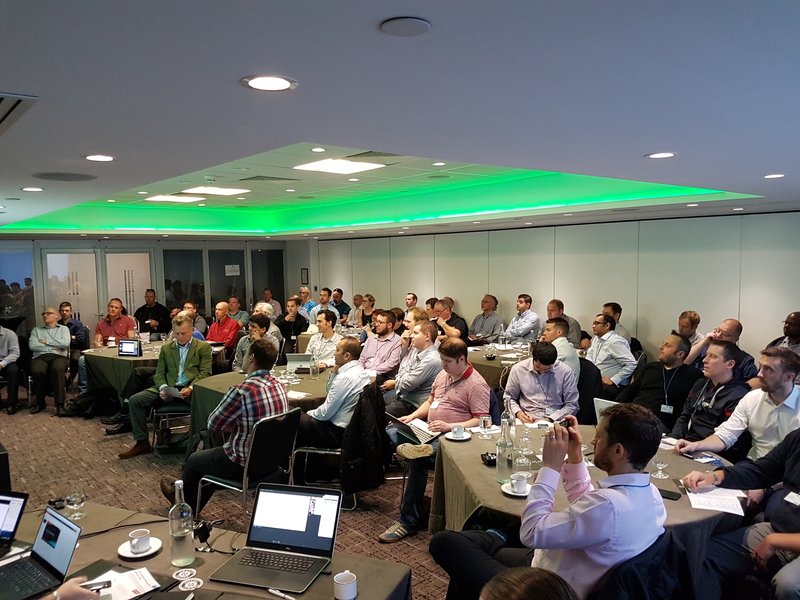 66% end users/partners – we did see lots of new faces (looked to be almost half which was very interesting). Also nice to see old ones who made the trek down/across/up. 10% from Citrix. As always, good to see you guys – especially during the Round Table. 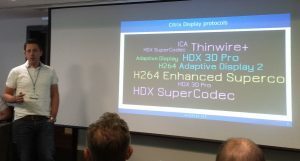 As Jane Rimmer mentioned in her review of the XVII UK Citrix User Group event a user group needs the support and focus from the vendor to be successful and we appreciate your contribution, obviously with a shout out to Ben for presenting. 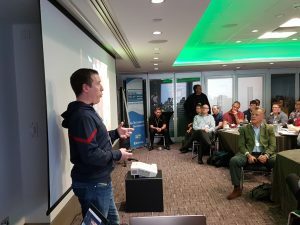 Again, thanks to our sponsors for this free-to-attend event, especially Liquidware for the very lovely lunch, and Appensure for refreshment and FSLogix for the post-event drinks. Technically, the news could have gone on for some time. 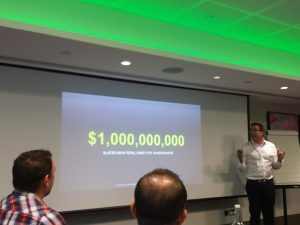 Citrix have been busy bees since our XVII event. That said, we had Citrix Technology Professional Jarian Gibson over from Kansas City, Missouri who was all prepped for talking about new stuff in-depth, and it wouldn’t be cricket to steal his thunder. 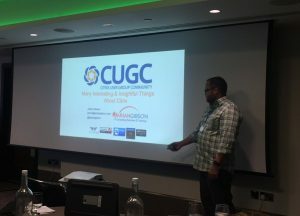 We covered the user group’s ever continuing growth, with some eschewing of facts modern political campaigns would be proud of. That aside, we highlighted the new XenDesktop/XenApp 7.11 release, including Self Service Password Reset which is available in Storefront 3.7. 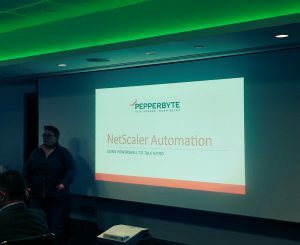 We talked about the Citrix’s replacement for MS RemoteApp; Citrix’s acquisition of Norskale and yje release of a free NetScaler CPX Express a microservice aware load balancer in a docker container. Peter von Oven, Sales Engineering Director for UK&I, Benelux and Nordics from Citrix Ready Partner of the Month Liquidware Labs talked about ProfileDisk and twin profile portability. 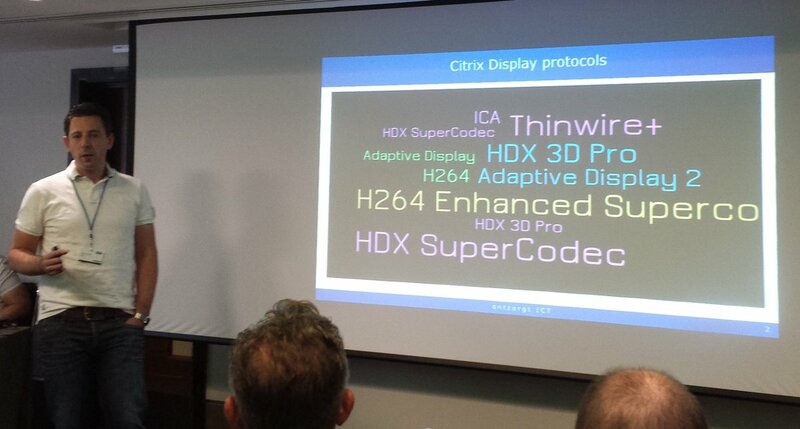 Ben Dowen, Senior Software Test Engineer at Citrix, took us through a new feature of 7.11. Full Clone removes some limitations of previous versions when deploying full desktops – you can now use MCS to effectively clone an operational desktop in a new instance without the need for sysprep. Simon Townsend, Chief Technologist EMEA at LANDESK Software gave an informative community session not only on the differences between what a see-saw is called in the US (teeter-totter or teeterboard fact fans), but the rise in focus and impact on business of security of a user’s device. The impact of Ransomware is estimated to be isgnificant. Great insight into the European directives on data protecion. We can only agree that operational security is our problem to solve. 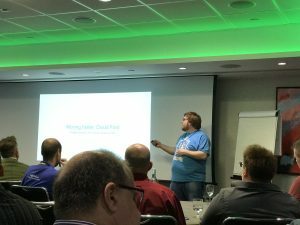 James Rankin, Citrix Technology Advocate followed on from previous UK CUG sessions talking about Window 10 in providing a summary and (what he hoped) would be the “Best of” Album you’d always wanted about deploying Windows 10. Citrix Technology Professional Barry Schiffer from the Netherlands joined us again to give an overview of the history of HDX with detail on the improvements from 7.8 to 7.11, the impact on thin client devices and the importance of understanding that default can be very different things and can change density (and so costs). 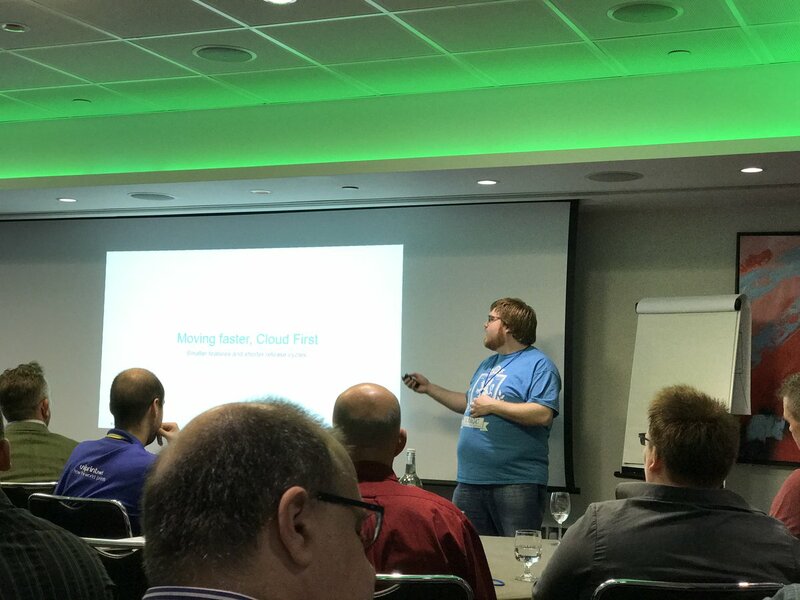 Founder of Appensure, Colin Macnab gave a beautifully timed introduction on how operations focused analysis of applications can be used to enhance the true End-User Experience in Citrix Deployments and what Appensure delivers in terms of unique Citrix monitoring features. Our third Dutch Citrix Technology Professional presenting on the day, Esther Barthel, gave great insight into the fun she has with Nitro RESTful APIs to manage Netscaler services, essential for data center automation/SDN. 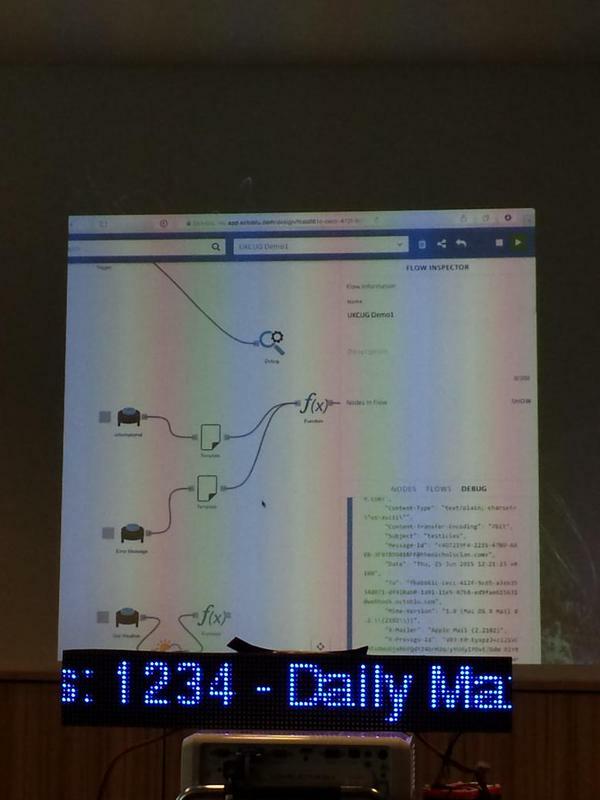 Not only that, but also her use of Powershell to drive Nitro, demos and bonus scripts. Keith Girt shook things up a little from a typical sponsor slot to focus on the results of a Citrix Performance Management survey that eg Innovations did in conjunction with www.dabcc.com. Some interesting detail on where people are today with ensuring Citrix services run optimally. 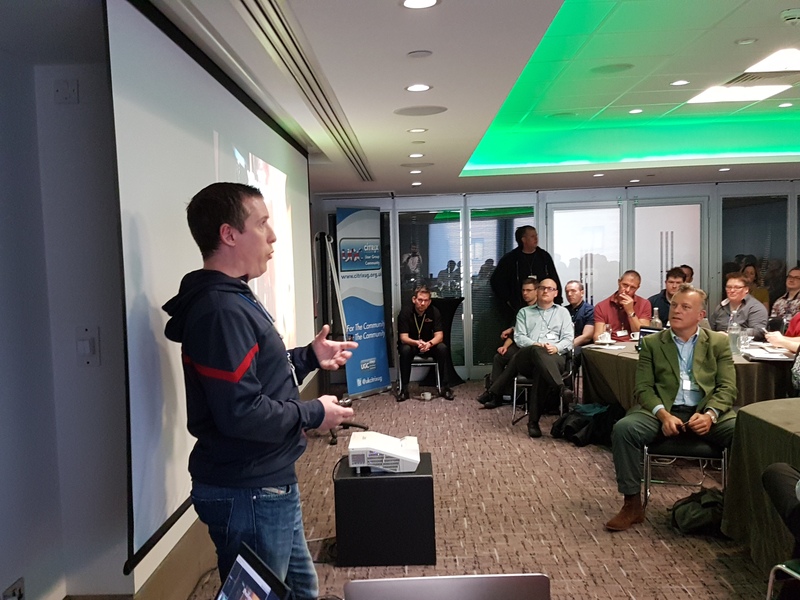 It was a pleasure to welcome our furthest travelling Citrix Technology Professional, Jarian Gibson, presenting for the first time at the UK Citrix User Group and then on to our colleagues in Polish Citrix User Group. A little bit of collaboration there to share the Gibson goodness. From the outset we always wanted this to be an interactive feedback session. It has had to morph from a “round of chairs” but what is always pleasing is the greater questions and tangents are from the people who haven’t presented. We discussed the possible demise of PVS with the ever richer capability of MCS; suggested some new features for MCS based on capabilities of PVS for a greater synergy between the two delivery models. Whether or not there will continue to be a future for XenMobile. Insight into the speed of bugs being addressed through patches given the new faster release cycle licensing challenges, build automation and the longevity of the thin client market. Keep an eye/ear out for more details. Our goal is approximately four events a year, we’re open to suggestions going into 2017. Thanks, and see you December. ← Death, Taxes and The Evolution of the Enterprise Desktop – are you prepared?